Various Artists – NEW 6.0 | Esc.rec. View the Creative Commons License (BY/NC/SA) that applies to this work. The brand new NEW 6.0 features a large array of young producers that joined up at our platform for electronic musicians from East Netherlands. During 2010, a large number of producers joined up with N.E.W., participated in workshops by Dave Clarke and Bart Thissen, and some of them were on stage for the very first time during one of N.E.W.’s 7 showcases. Their tracks were up for a vote at the N.E.W. website. An expert jury listened to the most popular songs and reviewed them, and then went on to select the best of the best for NEW 6.0. The jury consisted of Darko Esser (Doornroosje, Wolfskuil records), Harco Rutgers (esc.rec. ), Pim van der Burgh (NEW), Camiel le Rutte (Burgerweeshuis), Bas Aaftink (productiehuis ON, Lomechanik) and Joris Holter (DBS, Doornroosje). NEW 6.0 is released as a promo cd and as a free download release through esc.rec. 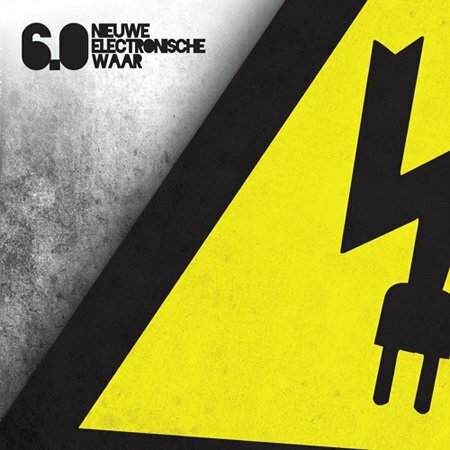 To get a promo copy, fill in the contact form on www.nieuweelectronischewaar.nl. NEW 6.0 is released on two seperate nights, on 29 January and 18 February. In January N.E.W.’s chosen few will perform at Het Burgerweeshuis in Deventer; in February they’ll do the same at Merleyn in Nijmegen. Not only will N.E.W. present it’s fresh harvest on these two nights, it will also kick off the search for new, fresh faced talents for our NEW 7.0 compilation. You’ll find 765 tracks of 89 different producers from East Netherlands on the NEW website. Earlier discoveries are compiled on N.E.W.’s first 5 releases. N.E.W. is a platform for producers and electronic music from East Netherlands with the specific goal to discover and develop new talent in this field. There are many talented producers in East Netherlands that otherwise would not be heard. N.E.W. is devoted to the development of these producers, both in the studio and on stage, by offering showcase performances, organizing workshops and releasing a new compilation every year. N.E.W. is a collaboration between productiehuis ON, Het Burgerweeshuis and Doornroosje and has been made possible with the help of the municipalities of Nijmegen and Deventer. this is great music and it’s distributed in a great way, so i’m quite impressed! thank you!